A glass of Three Creeks Crowdpleaser IPA at Craft Pour House. 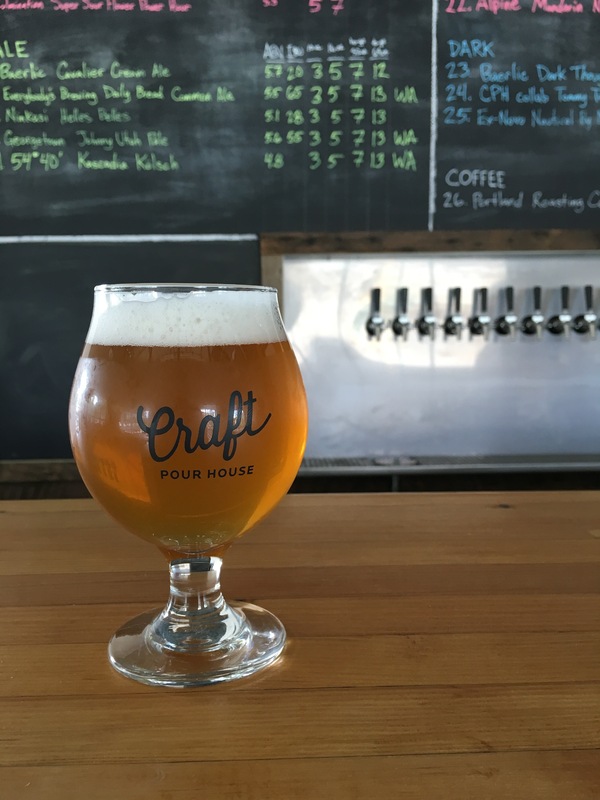 With a last name of Craft its no wonder that Justin and Violet Craft have opened their new craft beer bar aptly named Craft Pour House. 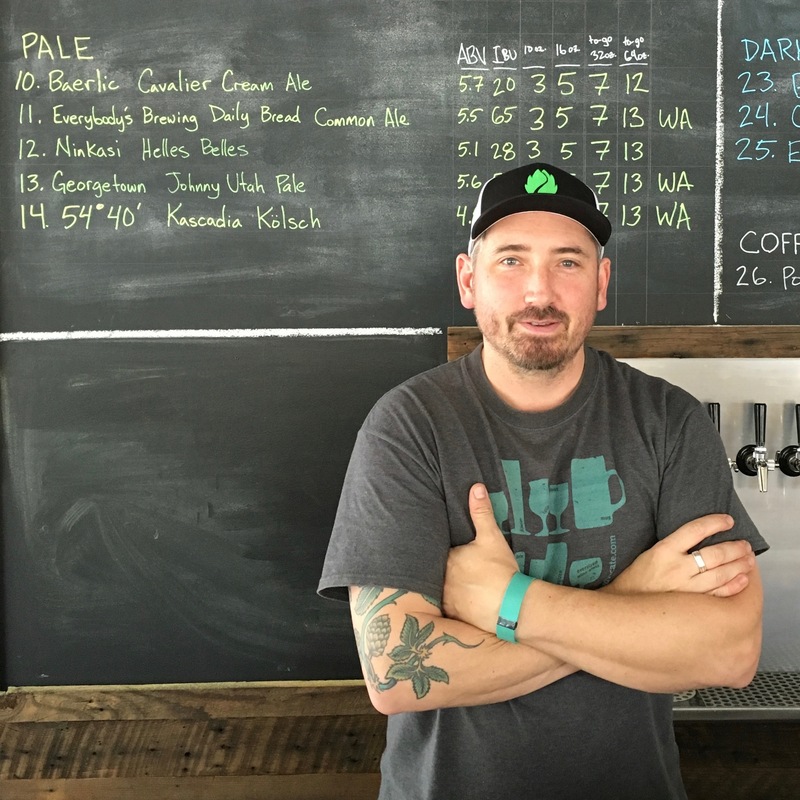 Justin is a huge fan and proponent of craft beer and has mingled in the beer industry through the years while continuing to work his day job in IT. 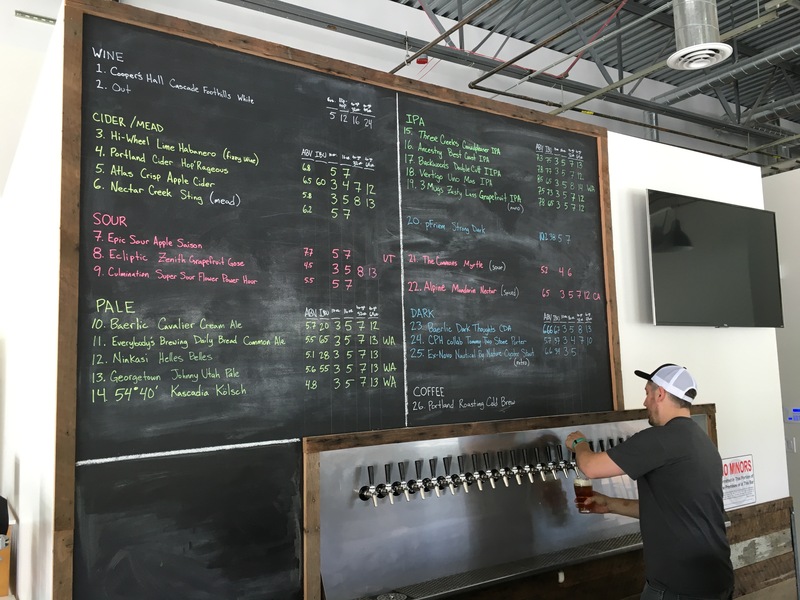 This past Friday, May 27, 2016, Justin and Violet opened its doors in Beaverton to Craft Pour House for the public to enjoy for the very first time. When walking into the 1984 square foot Craft Pour House, you are greeted with 26 taps. Currently there are 19 taps dedicated to beer, all arranged by style. Then to round it out, there are four craft cider taps, two wine taps and one tap pouring Portland Roasting Cold Brew on nitro. All 26 of these selections are neatly listed on a chalkboard above the taps. Beers are competitively priced with 10 oz. pours from $3.00 and 16 oz. pints from $5.00. 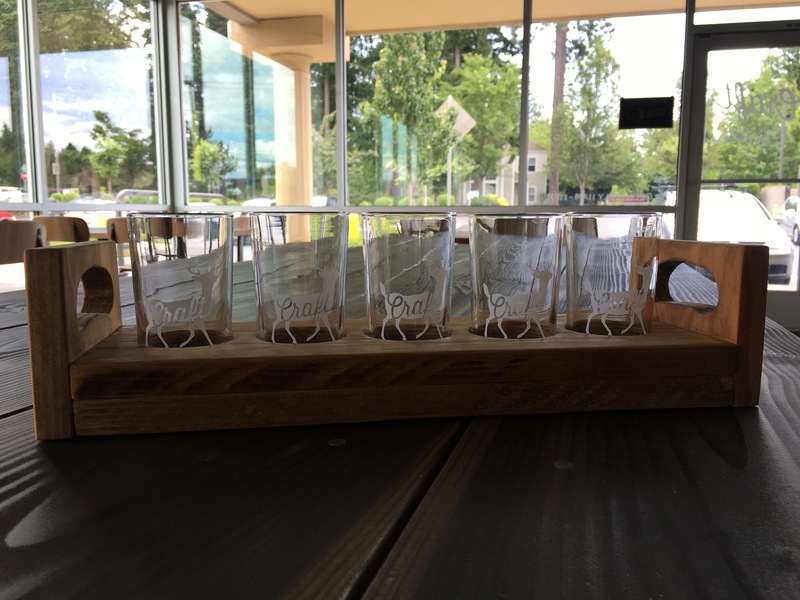 There are also 5 beer taster tray’s available for helping narrow down your favorite offering. Justin Craft of Craft Pour House in Beaverton, Oregon. Craft Pour House taster trays made by Justin’s father, Bob Craft, sitting on top of a table also made by Bob. One of the rare beers being poured at Craft Pour House is its collaboration with Portland U-Brew and Cesar Negrete of Harp and Anchor Brewing and then distributed by Unicorn Brewing. Tommy Tow Stone Porter is based on a longstanding homebrewing recipe from Justin. The name comes from the birth of his nephew Tommy. When Tommy was born he was a big baby he weighed just about two stones in very little time. Justin Craft pouring a pint at Craft Pour House. Another unique tap at Craft Pour House is with tap number 19 that will be known as Nano 19. This tap is one handle that Justin wants to dedicate to the area’s smaller breweries, ones that brew 5 barrels or less of beer per batch. “I know the hard work that goes into brewing and want to spotlight these smaller breweries,” stated Justin during our recent visit over the weekend. Currently Zesty Lass Grapefruit IPA is being poured from Hillsboro’s Three Mugs Brewing. Nano 19 will continually rotate its offerings. 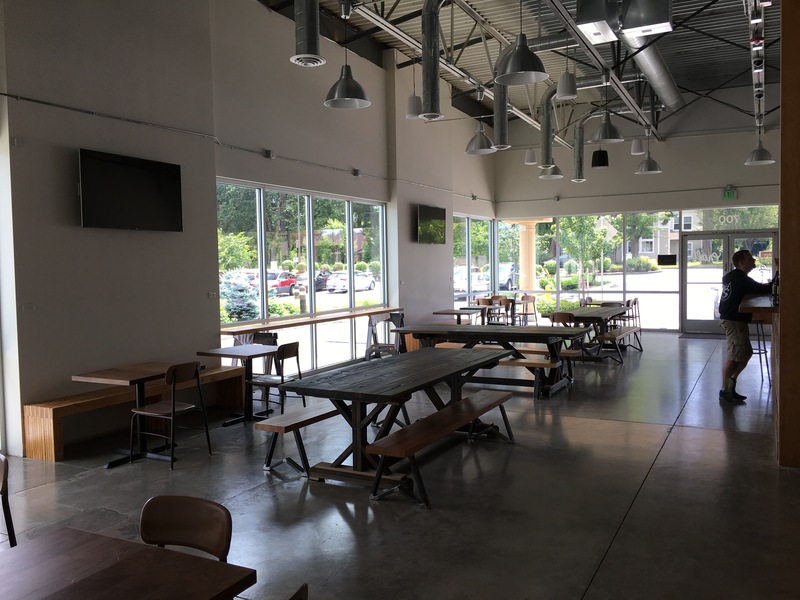 Beyond the 26 drafts, Craft Pour House will offer a finely curated selection of bottles and cans that will most likely expand to offerings of craft soda and quite possibly kombucha. Justin also has a 32 oz. Crowler machine for beer to go along with the ability to fill your own glass or insulated growler. Inside the seating area at Craft Pour House with tables and benches handcrafted from Justin’s father, Bob. For those that may arrive hungry, Craft Pour House will be serving sandwiches and wraps from Molly’s. Outside food is also encouraged to be brought in. With the nicely done handmade tables and benches produced by Justin’s father, Bob, there is plenty of room to relax for a few hours. There will also be 4 tables being added for covered outdoor seating. And for Timbers fans, Justin has 4 TV’s ready to show all of the matches with volume. As for other sporting events he may show those too but without the volume to create a better vibe. Sandwiches and wraps all provided from Molly’s will be available for purchase at Craft Pour House. 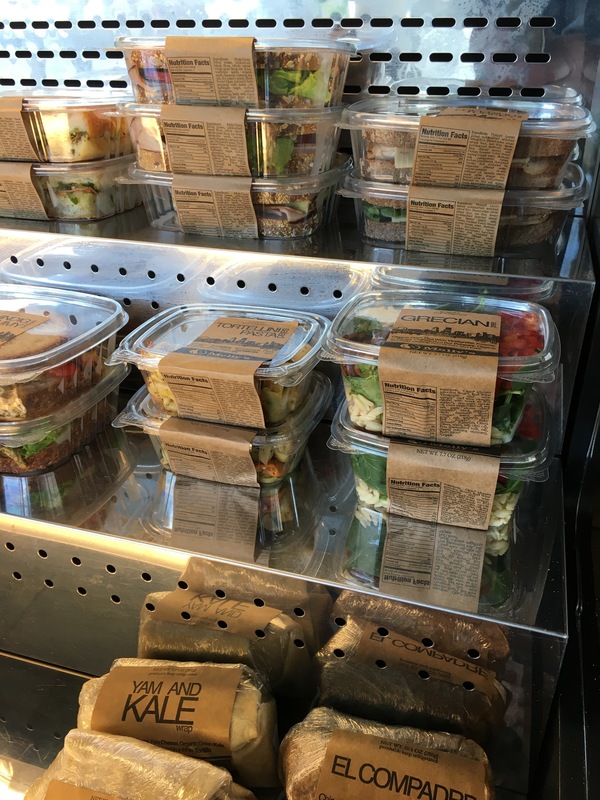 You can also bring in your own food. Some of you may know Justin from his involvement in Craft Beer Cards, a series of 12 baseball style cards that highlighted brewers from the Oregon brewery scene. With the first edition completed a few years back, Justin still has goals of creating a few more editions in the coming years. This project ended up taking a hiatus as he and Violet worked on opening up the beer bar during the course of the past year. 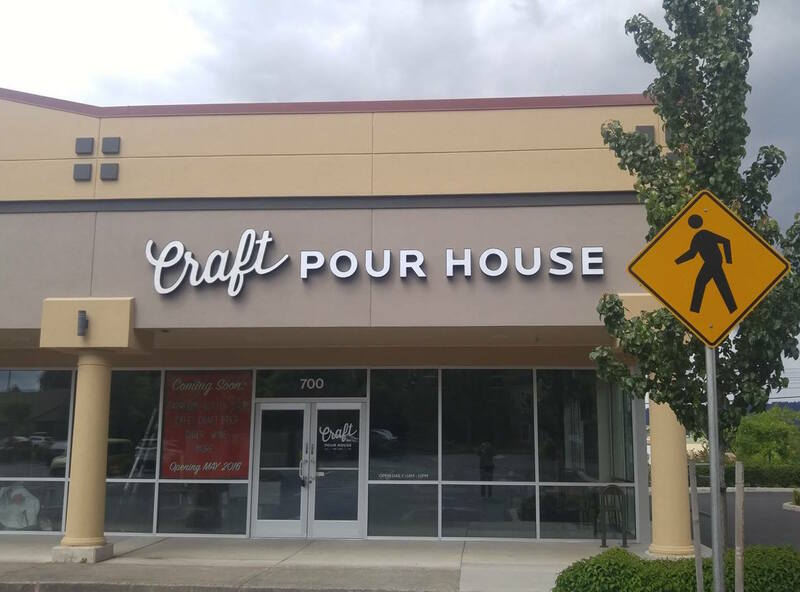 In the coming days Craft Pour House will continue to add a few more decorations and round out its beer selections just in time for this weekend’s grand opening. On Friday, June 3rd, Craft Pour House will celebrate with its official Grand Opening. Beginning at 5:00pm the folks from Laurelwood Brewing will be in store pouring some Laurelwood favorites and a few rare ones along with some swag giveaways. Craft Pour House is open daily from 11:00am to 11:00pm. Minors are welcome until 5:00pm. Hey DJ. Love it, man. Thank you for the kind words and for spending part of the day out in Beaverton with us. Cheers!